(1) A description of the conceptual models and scenario construction used to support any compliance application. (2) A description of plausible, alternative conceptual model(s) seriously considered but not used to support such application, and an explanation of the reason(s) why such model(s) was not deemed to accurately portray performance of the disposal system. (i) Conceptual models and scenarios reasonably represent possible future states of the disposal system. (ii) Mathematical models incorporate equations and boundary conditions which reasonably represent the mathematical formulation of the conceptual models. (iii) Numerical models provide numerical schemes which enable the mathematical models to obtain stable solutions. (iv) Computer models accurately implement the numerical models; i.e., computer codes are free of coding errors and produce stable solutions. (v) Conceptual models have undergone peer review according to §194.27. (b) Computer codes used to support any compliance application shall be documented in a manner that complies with the requirements of ASME NQA-2a-1990 addenda, part 2.7, to ASME NQA-2-1989 edition. (1) Descriptions of the theoretical backgrounds of each model and the method of analysis or assessment. (2) General descriptions of the models; discussions of the limits of applicability of each model; detailed instructions for executing the computer codes, including hardware and software requirements, input and output formats with explanations of each input and output variable and parameter (e.g., parameter name and units); listing of input and output files from a sample computer run; and reports on code verification, bench marking, validation, and quality assurance procedures. (3) Detailed descriptions of the structure of the computer codes and complete listings of the source codes. (4) Detailed descriptions of data collection procedures, data reduction and analysis, and code input parameter development. (6) An explanation of the manner in which models and computer codes incorporate the effects of parameter correlation. (d) The Administrator or the Administrator's authorized representative may verify the results of computer simulations used to support any compliance application by performing independent simulations. Data files, source codes, executable versions of computer software for each model, other material or information needed to permit the Administrator or the Administrator's authorized representative to perform independent simulations, and to access necessary hardware to perform such simulations, shall be provided within 30 calendar days of a request by the Administrator or the Administrator's authorized representative. The criteria in 40 CFR § 194.23(a)(1) (U.S. EPA 1996) requires descriptions of the conceptual models and scenario construction used to demonstrate compliance. To meet the requirements for section 194.23(a)(1), the U.S. Environmental Protection Agency (EPA) expected the U.S. Department of Energy (DOE) to include a complete, clear, and logical description of each conceptual model used to demonstrate compliance in the application. Documentation of the conceptual models was expected to describe site characteristics and processes active at the site (e.g., gas generation or creep closure of the Salado Formation salt). The conceptual models were to consider both natural and engineered barriers. The DOE developed 24 conceptual models to describe the Waste Isolation Pilot Plant (WIPP) disposal system. For the Compliance Certification Application (CCA) (U.S. DOE 1996), the EPA reviewed each of the 24 conceptual models included in the CCA (see Table 23-1) using information contained in the CCA, supplementary peer review panel reports, and supplementary information provided to the EPA by the DOE in response to specific EPA comments. Upon the conclusion of the conceptual model peer review, the panel stated, "With the exception of the Spallings Model presented in the CCA (U.S. DOE 1996), which the Panel continues to find inadequate, all remaining conceptual models have been determined to be adequate and all significant issues regarding their adequacy have been resolved." The peer review panel also stated, "Although further refinement in understanding and predictive capability for spallings events would be desirable as part of a new conceptual model, the Panel has determined that the additional information presented by the DOE is sufficiently complete at this time to support a conclusion that the spallings volumes used in the CCA are reasonable, and may actually overestimate the actual waste volumes that would be expected to be released by the spallings process at the WIPP" (Appendix PEER-2004, Section PEER-2004 1.1.5 and Section 4.0) (U.S. DOE 2004). The EPA agreed with the peer review panel that all models, with the exception of spallings, were considered adequate to represent future states of the repository. In the case of the spallings model, the EPA considered the results adequate because the DOE showed in its additional spallings modeling that the release of solid waste predicted by the performance assessment (PA) spallings model overestimated releases by a factor of 10 or more (Sandia National Laboratories and Carlsbad Area Office Technical Assistance Contractor 1997). The EPA determined that the CCA and supporting documentation contained a complete and accurate description of each conceptual model and the scenario construction methods used in PA. The scenario construction descriptions included sufficient detail to explain the basis for selecting some scenarios and rejecting others, and were adequate for use in the CCA PA calculations (U.S. DOE 1996). The EPA found the DOE to be in compliance with the requirements of section 194.23(a)(1) (Compliance Application Review Document [CARD] 23, Section 1.4 ) (U.S. EPA 1998a). A complete description of the EPA's 1998 Certification Decision for section 194.23(a)(1) can be obtained from CARD 23, Section 1.4 (U.S. EPA 1998a). a Entries in bold were modified and peer reviewed for the CRA-2004 PA.
b Culebra Hydrogeology Model was peer reviewed in the CRA-2009 PABC (U.S. DOE 2009). For the 2004 Compliance Recertification Application (CRA-2004), the DOE undertook an extensive screening process to determine which features, events, and processes (FEPs) were still applicable to the disposal system and which changes were appropriate. The DOE's scenario construction methods had not changed since the CCA. The DOE constructed two basic scenarios, undisturbed performance and disturbed performance, which included drilling and mining events (U.S. DOE 2004). Although minor changes were made to the FEPs, the results of the reassessment did not impact the original conceptual models or scenarios (Appendix PA-2004, Attachment SCR, and Chapter 6.0, Section 6.2.6) (U.S. DOE 2004). Hence, the 24 original conceptual models were maintained in the CRA-2004 PA to describe the WIPP disposal systems. The DOE did, however, modify three conceptual models related to the Salado Formation modeling: Disposal System Geometry, Repository Fluid Flow, and the Disturbed Rock Zone (DRZ) (U.S. DOE 2004). Furthermore, the DOE developed a new spallings model for the CRA-2004 (U.S. DOE 2004). The 24 conceptual models that were included in the CCA and the CRA-2004 are listed in Table 23-1. The four conceptual models that were changed are noted in bold type. The EPA's review of the CRA-2004 for compliance with section 194.23(a)(1) focused on changes to FEPs, conceptual models, scenarios, or models since the 1998 Certification Decision (U.S. EPA 1998b). The CCA and CRA-2004 scenario construction process had not changed and was based on screening decisions using a comprehensive list of FEPs developed for the Swedish Nuclear Power Inspectorate (also known as SKI), and other WIPP-specific FEPs developed by the DOE (CRA-2004, Chapter 6.0, Section 6.2.1, and the CCA, Chapter 6.0) (U.S. DOE 2004). The DOE's methods for addressing conceptual model development and scenario construction had not changed since the CCA, and consisted primarily of identifying and screening processes and events and combining them into scenarios. The EPA reviewed each of the steps used in this process during its evaluation and review of changes since the CCA. The EPA reviewed the DOE's FEPs reevaluation and found the documentation to be adequate and the reasons for changes to the FEPs reasonable (U.S. EPA 2006a). During the CRA-2004 evaluation, the EPA paid particular attention to any FEP changes concerning human intrusion scenarios related to mining and oil and gas drilling, such as fluid injection and air drilling (U.S. EPA 2006b). As noted in U.S. EPA (2006b), some parameters, such as drilling rate and other drilling-related values, had been updated since the CCA as a result of continued activities in the Delaware Basin. The parameter changes did not have a detrimental impact on the compliance determination, as exhibited by the results of the subsequent PA, the CRA-2004 Performance Assessment Baseline Calculation (PABC) (U.S. EPA 2006c, Section 11.3 ). Drilling practices (such as injection techniques and air drilling) and mining activities have not significantly changed since the CCA. Therefore, the EPA did not believe that the original conclusions during the CCA needed to be modified for the CRA-2004. In the EPA's August 2002 Guidance Letter (Marcinowski 2002), the EPA instructed the DOE to develop a new spallings model for the CRA-2004 PA. The new spallings model (Appendix PA-2004, Attachment MASS-2004, Section 16.1.3 ) (U.S. DOE 2004) included three major elements: consideration of multiphase flow processes in the intrusion borehole, consideration of fluidization and transport of waste particulates from the intact waste mass to the intrusion borehole, and a numerical solution for the coupled mechanical and hydrological response of the waste as a porous medium. The new spallings model was peer reviewed in 2003 and found to be adequate (CRA-2004, Chapter 9.0, Section 9.3.1.3.5, and Appendix PEER-2004, Section PEER-2004 3.0) (U.S. DOE 2004). The EPA found the spallings model peer review to be adequate ((U.S. EPA 2006d), Section 5.0) and the new spallings model to be appropriate for use in the CRA-2004 PA ((U.S. EPA 2006c), Section 10.3.1). The DOE modified the Disposal System Geometry, Repository Fluid Flow, and DRZ conceptual models to reflect new information on the Salado and to incorporate the EPA-mandated Option D panel closure design requirements. The DOE modified the BRAGFLO computational grid and the computational grid for the direct brine release calculations to include the Option D panel closure design requirements. The DOE also simplified the shaft in the BRAGFLO grid and refined the BRAGFLO grid. These modified conceptual models were peer reviewed during 2002 and 2003 and found to be adequate (CRA-2004, Chapter 9.0, Section 9.3.1.3.4, and Appendix PEER-2004, Section PEER-2004 2.0) (U.S. DOE 2004). The EPA found the changes to the Salado Flow Conceptual Models to be adequate ((U.S. EPA 2006e), Section 5.0). The EPA determined that while these new models better reflected the knowledge of the disposal system, the changes had little impact on the results of the PA ((U.S. EPA 2006c), Section 12.0). The EPA's review found that the CRA-2004 and supplementary information contained a complete and accurate description of each conceptual model that changed, and that documentation of all conceptual models continued to adequately discuss site characteristics and processes at the site. The EPA determined that the conceptual models continued to adequately represent those characteristics, processes, and attributes of the WIPP disposal system affecting its performance, and that the conceptual models considered both natural and engineered barriers. The EPA found that the DOE considered conceptual models that continued to adequately describe the future characteristics of the disposal system. The conceptual models continued to reasonably describe the expected performance of the disposal system and incorporate reasonable simplifying assumptions of the disposal system's behavior. The EPA found that the modifications to four of the conceptual models were reasonable and the related CRA-2004 documentation was complete (CARD 23, Section Recertification Decision 194.23(a)(1)) (U.S. EPA 2006f). Based on a review and evaluation of the CRA-2004 and supplemental information provided by the DOE, the EPA determined that the DOE continued to comply with the requirements for section 194.23(a)(1) (CARD 23, Section Recertification Decision 194.23(a)(1)) (U.S. EPA 2006f). A reassessment of the FEPs was conducted for the CRA-2009 and the results are documented in Appendix SCR-2009, Section SCR-1.0 (U.S. DOE 2009). Of the 235 FEPs considered for the CRA-2004, 188 did not change, 35 were updated with new information, 10 were split into 20 similar but more descriptive FEPs, one screening argument was changed to correct errors discovered during review, and one FEPs screening decision was changed (Appendix SCR-2009, Table SCR-2 ) (U.S. DOE 2009). No changes in the 24 conceptual models or scenario construction methodology resulted from the FEPs reevaluation. However, because of new information, the Culebra Hydrogeology conceptual model was modified, peer reviewed (U.S. EPA 2010b; Burgess et al. 2008), and used in the CRA-2009 PABC (Kuhlman 2010). The EPA verified that no changes in the 24 conceptual models or scenario construction methodology resulted from the CRA-2009 FEPs reevaluation (U.S. EPA 2010b). The DOE's scenario construction methodology had not changed since the CRA-2004 PA. The 24 conceptual models included in the CCA and the CRA-2004 had not changed for the CRA-2009 (U.S. DOE 2009). These conceptual models are described in Section 23.1.2 and listed in Table 23-1. One model was changed for the CRA-2009 PABC by incorporating new information derived from new monitoring wells and well testing activities. The DOE modified the Culebra Hydrogeology Conceptual Model by making the transmissivity fields (T-fields) more geology-based. The EPA concluded that the DOE's computational approach was basically the same as in the CRA-2004, but the parameterization and some assumptions were changed and refined based on new well and well testing data (Appendix TFIELD-2009, Section TFIELD-1.0 ; (Kuhlman 2010), Sections 2.0 and 3.0) (U.S. DOE 2009). The EPA examined the DOE's conceptual model peer review (Burgess et al. 2008) and model implementation changes in developing the T-fields (Section 3.0(Kuhlman 2010)). The DOE conducted new studies of Culebra hydrogeology, the results of which were summarized in Beauheim (Beauheim 2008) and peer-reviewed by Burgess et al. (Burgess 2008). These results were implemented in the generation of a new set of T-fields (Kuhlman 2010) that integrated geologic, hydrologic, and geochemical data. The resulting implementation of the Culebra conceptual model related the flow properties of the Culebra to geologic factors that can be mapped with varying degrees of certainty over the model domain. The model provided a statistical/stochastic basis for estimating hydrologic properties over the area of interest. Geochemical observations were shown to be consistent with the conceptual model. The revised Culebra Hydrology Conceptual Model was used in the CRA-2009 PABC. The EPA's review of the technical work leading to the model revisions is described in CARD 15, Sections 15.2.4 and 15.2.5 (U.S. EPA 2010b). The EPA's oversight of the Culebra Hydrogeology Conceptual Model Peer review is discussed in CARD 27, Peer Review, Section 27.4.1 (U.S. EPA 2010b). The EPA approved of the Culebra Hydrology Conceptual model revisions and concluded that the CRA-2009 contained an adequate description of conceptual models and scenario construction methods, and that conceptual model and scenario construction descriptions included sufficient detail to explain the basis for selecting some scenarios and rejecting others (U.S. EPA 2010b). Thus, the EPA determined that the DOE continued to demonstrate compliance with the provisions of section 194.23(a)(1) (CARD 23, Section 23.1.7 ) (U.S. EPA 2010b). The DOE conducted an extensive FEPs reassessment for the CRA-2014 to determine which FEPs were still applicable to the disposal system and which changes were appropriate. This reassessment and the results are documented in Appendix SCR-2014, Section SCR-1.0 and Section 32 (U.S. DOE 2014). No changes in the 24 conceptual models or scenario construction methodology resulted from the FEPs reevaluation. However, several changes in the implementation of certain FEPs in PA have occurred since the CRA-2009 and are included in the CRA-2014. These include the repository planned changes (i.e., additional excavated area in the northern experimental area), parameter updates (i.e., PBRINE, TAUFAIL, iron corrosion rate, and other parameters updates detailed in Camphouse (Camphouse 2013b)), and refinements to PA implementation. The specific changes since the CRA-2009 that are included in the CRA-2014, none of which constitute or result in conceptual model changes, are detailed in Camphouse (Camphouse 2013a) and in Appendix PA-2014 (U.S. DOE 2014). Given that no changes or new information in description of conceptual models or scenario construction methodology resulted from the FEPs reassessment or from the changes since the CRA-2009, the DOE continues to demonstrate compliance with the provisions of section 194.23(a)(1). 40 CFR § 194.23(a)(2) requires a description of those conceptual models that were identified or developed while preparing the compliance application, but were determined not to be appropriate for portraying disposal system performance. It also requires that the reasons for not using these models be explained. To meet the requirements of section 194.23(a)(2), the DOE described in the CCA the plausible alternative conceptual models considered but not used and explained why these models were not used (CCA Chapters 2.0, 9.0, and Appendix MASS) (U.S DOE 1996). Descriptions of the rejected alternative models did not need to be as detailed as descriptions of the models actually used in the CCA. The DOE also explained why these alternative models were not used to describe the performance of the repository. The descriptions of the alternative models and justifications for the conceptual model selections were summarized in Dials (Dials 1997), Table 1. The EPA reviewed the material on alternative conceptual models and the comments made by the Conceptual Models Peer Review Panel on alternative models. The panel identified no substantive issues regarding alternative models. The EPA found the DOE to be in compliance with the requirements of section 194.23(a)(2) (CARD 23, Section 2.4 ) (U.S. EPA 1998a). A complete description of the EPA's 1998 Certification Decision for section 194.23(a)(2) can be obtained from CARD 23, Section 2.4 (U.S. EPA 1998a). As stated at the time of the CCA, the DOE's position is that the basic elements of the conceptual models used in the CCA have been developed over a number of years, as a result of continuing analysis of alternatives and elimination of those alternative conceptual models found to be unacceptable or inappropriate. In the CRA-2004, Chapter 2.0, Chapter 6.0, Section 6.4, and Chapter 9.0, Section 9.3.1, the DOE described the conceptual models used to evaluate the WIPP's performance. Since the CCA, the DOE changed four conceptual models, developed a new spallings model for the CRA-2004, and made minor changes to three other conceptual models (Disposal System Geometry, Repository Fluid Flow, and DRZ). All of these models were peer reviewed as required by section 194.27. The Spallings and Salado Flow Conceptual Models Peer Review Panels' consideration of alternative conceptual models for the four changed conceptual models is described in Appendix PEER-2004, Sections PEER-2004 2.0 and PEER-2004 3.0 (U.S. DOE 2004). The EPA reviewed the CRA-2004 documentation listed above and reevaluated the CCA documentation. The EPA reviewed all aspects of the DOE's work related to alternative conceptual models to confirm that the DOE continued to comply with the requirements of section 194.23(a)(2) (CARD 23, Section Evaluation of Compliance for Recertification 194.23(a)(2)) (U.S. EPA 2006f). As part of its alternative model review, the EPA examined the CRA-2004 documentation to determine if any other models had changed or if any new alternative models had been developed since the CCA. The EPA also reexamined the CCA for alternative conceptual models seriously considered in the CCA, as summarized in Dials (Dials 1997), Table 1, to determine if any of the DOE's original approach or justification had changed since the original certification. Based on this review, the EPA determined that all alternative models had been appropriately considered by the DOE and that the DOE continued to be in compliance with the requirements of section 194.23(a)(2) (CARD 23, Section Recertification Decision 194.23(a)(2)) (U.S. EPA 2006f). Members of the public suggested that karst formation and processes may be a possible alternative conceptual model for flow in the Rustler Formation. Karst may be defined as voids in near-surface or subsurface rock created by water flowing when rock is dissolved. Public comments included statements that karst could develop interconnected "underground rivers" that may enhance the release of radioactive materials from the WIPP. Because of this comment, the EPA required the DOE to perform a thorough reexamination of all historical data, information, and reports by the DOE and others, to determine if karst features or development had been missed during previous work done at the WIPP. The DOE's findings are summarized in Lorenz (Lorenz 2006a;Lorenz 2006b). The EPA also conducted a thorough reevaluation of karst and of the work done during the CCA (U.S. EPA 2006g). The EPA's reevaluation of historical evidence and recent work by the DOE did not show even the remotest possibility of an "underground river" near the WIPP, nor did it change the CCA conclusions. Therefore, the EPA believed karst was not a viable alternative model at the WIPP. For a more complete discussion of the reevaluation of karst, see CARD 14/15 (U.S. EPA 2006h) and Lorenz (Lorenz 2006a;Lorenz 2006b). Based on a review and evaluation of the CRA-2004 and supplemental information provided by the DOE, the EPA determined that the DOE continued to comply with the requirements of section 194.23(a)(2) (CARD 23, Section Recertification Decision 194.23(a)(2)) (U.S. EPA 2006f). The implementation and parameterization of one of the 24 conceptual models was changed after the CRA-2004 decision in March 2006. The computational implementation and parameterization of the Culebra Hydrogeology Conceptual Model was changed between the CRA-2004 and CRA-2009. No other alternative conceptual models were implemented for the CRA-2009 PA calculations. The EPA reviewed the DOE's documentation for CRA-2009, namely Appendices PA-2009, SCR-2009, and MASS-2009 (U.S. DOE 2009), and verified that only one of the 24 conceptual models had been changed since CRA-2004, and that no new alternative conceptual models had been considered in the CRA-2009. In 2007, as part of its continuous evaluation of alternative conceptual models, the DOE proposed modifications that would affect two of the existing conceptual models, Cuttings and Cavings and DRZ (Vugrin and Nemer 2007). It was determined that since these proposed modifications would impact the conceptual models, an independent technical peer review on the adequacy of the proposed changes to the approved conceptual models should be performed in accordance with the requirements of section 194.27. In October 2007, before the peer review was completed, the DOE decided to postpone the consideration of the proposed modifications (see Section 27.7.3). The EPA verified that these potential alternative conceptual models were never implemented in the CRA-2009 PA calculations. The Culebra Hydrogeology Conceptual Model Peer Review was performed in 2008 (Burgess et al. 2008). This peer review evaluated changes to the computational implementation and parameterization of the Culebra Hydrogeology Conceptual Model. The EPA examined the peer review plan and the final peer review report for this model and found them to adequately fulfill the requirements of section 194.27 and the U.S. Nuclear Regulatory Commission (U.S. NRC 1988). The EPA also observed the selection of the panel, the interaction of the peer review panel with the DOE and Sandia National Laboratories (SNL), the actual performance of the peer review panel members, and the documents produced during and as a result of the peer review process (S. Cohen and Associates 2008). The EPA found the process to comply with requirements of section 194.27 and the guidance in U.S. NRC (U. S. NRC 1988). Once again, public comments suggested that karst processes may be an alternative model (see U.S. EPA 2010b, Section 15.2.4 for the EPA's review). Karst was considered and rejected as an alternate conceptual model by the Culebra Hydrogeology Peer Review Panel (Burgess et al. 2008). The EPA likewise thoroughly reviewed all available data and determined that karst processes are not active at the WIPP site and should not be included in the WIPP conceptual models. Based on a thorough review and evaluation of the CRA-2009 and supplemental information provided by the DOE (Federal Document Management System (FDMS) Docket ID No. U.S. EPA-HQ-OAR-2009-0330, Air Docket A-98-49), the EPA determined that the DOE continues to demonstrate compliance with the requirements of section 194.23(a)(2) (CARD 23, Section 23.2.7 ) (U.S. EPA 2010b). The 24 conceptual models have not changed since the CRA-2009 recertification decision following the changes to the Culebra Hydrogeology Conceptual Model implemented in the CRA-2009 PABC. No new, plausible alternative conceptual models have been implemented or considered by the DOE since the CRA-2009 and the CRA-2009 PABC (U.S. DOE 2009). The implementation of the conceptual models has been modified to incorporate new parameters and changes in parameter values as discussed here in Section 23.2.7. Hence, the DOE continues to demonstrate compliance with the requirements for section 194.23(a)(2). i. Conceptual models and scenarios reasonably represent possible future states of the disposal system. ii. The equations and boundary conditions in a model reasonably represent the mathematical basis of the conceptual model. iii. Numerical schemes enable the mathematical models to obtain stable solutions. iv. Computer models implement the numerical models, have no coding errors, and produce stable solutions. v. Peer review according to section 194.27 has been conducted on the conceptual models. For the CCA, the DOE convened a Conceptual Models Peer Review Panel to review the 24 conceptual models used in PA (see Section 23.2.2). The EPA concurred with the panel's findings and found the DOE in compliance with the requirements of sections 194.23(a)(3)(i) and 194.23(a)(3)(v). During the CCA, the EPA performed an independent review of the computer codes, focusing on (1) whether mathematical models incorporated equations and boundary conditions that reasonably represented the mathematical formulation of the conceptual models reviewed under section 194.23(a)(1); (2) whether the numerical models provided numerical schemes that enabled the mathematical models to obtain stable solutions; and (3) whether the computer codes were properly implemented. The EPA independently reviewed the mathematical models and boundary conditions for the following codes: CUTTINGS_S, SECOFL2D, SECOTP2D, CCDFGF, PANEL, BRAGFLO, NUTS, FMT, SANTOS, and GRASP-INV. The codes that used numerical solvers included CUTTINGS_S, SECOFL2D, SECOTP2D, PANEL, BRAGFLO, NUTS, and SANTOS. The EPA concluded that the mathematical models incorporated equations that reasonably represented the conceptual models. A complete description of the EPA's 1998 Certification Decision for section 194.23(a)(3) can be obtained from CARD 23, Sections 4.4 , 5.4, 6.4, and 7.4 (U.S. EPA 1998a). A description of the code documentation is given here for completeness and to aid in further discussion. - The numerical solution strategy and computational sequence, including program flowcharts and block diagrams. - The relationship between the numerical strategy and the mathematical strategy (e.g., how boundary or initial conditions are introduced). - A clear explanation of model derivation. The derivation starts from generally accepted principles and scientifically proven theories. The UM justifies each step in the derivation and notes the introduction of assumptions and limitations. For empirical and semi-empirical models, the documentation describes how experimental data are used to arrive at the final form of the models. The UM clearly states the final mathematical form of the model and its application in the computer code. - Descriptions of any numerical method used in the model that go beyond simple algebra (e.g., finite-difference, Simpson's rule, cubic splines, Newton-Raphson Methods, and Jacobian Methods). The UM explains the implementation of these methods in the computer code in sufficient detail that an independent reviewer can understand them. - The derivation of the numerical procedure from the mathematical component model. The UM gives references for all numerical methods. It explains the final form of the numerical model and its algorithms. If the numerical model produces only an intermediate result, such as terms in a large set of linear equations that are later solved by another numerical model, then the UM explains how the model uses intermediate results. The documentation also indicates those variables that are input to and output from the component model. - Description of the overall nature and purpose of the general analysis performed by the model. The APs describe the specific aspects of the analysis for which the model is used. The APs discuss the input and output parameters for each model. - The modeling information describing the components (e.g., unsaturated vs. saturated) and their role in the overall modeling effort. The APs identify the contribution of each component model to the complete solution of the problem and the linkages between the component models. The documentation uses flowcharts and block diagrams to describe the mathematical solution strategy for the PA.
· Requirements Document (RD)―identifies the computational requirements of the code (e.g., MODFLOW must be able to simulate groundwater flow under steady-state conditions). · Verification and Validation Plan (VVP)―identifies tests and associated acceptance criteria for the code and validation that all aspects of the code work properly together. · Design Document (DD)-describes the major features of the software design: the theoretical basis; the embodied mathematical model; control flow; control logic; data structures; functionalities and interfaces of objects; components, functions, and subroutines used in the software; and the allowed or prescribed ranges for data inputs and outputs in a manner that can be implemented. · Implementation Document (ID)-provides the information necessary to recreate the code used in the PAs. Using this information, the computer user can reconstruct the code or install it on an identical platform to that used in the PAs. The document includes the source code listing, subroutine-call hierarchy, and code compilation information. · Validation Document (VD)-summarizes the results of the testing activities prescribed in the RD/VVP documents for the individual codes and provides evaluations based on those results. The VD contains listings of sample input and output files from computer runs of each model. The VD also contains reports on code verification, benchmarking, and validation, and documents the results of the quality assurance procedures (QAPs). Analogous to the original certification, all modified conceptual models used in the CRA-2004 PA were reviewed by conceptual model peer review panels. The peer review panels considered whether a conceptual model represents possible future states of the disposal system. For each of the four changed conceptual models in the CRA-2004 PA (see Section 23.2.3), the peer review panels approved the conceptual models considered (see Appendix PEER-2004, Sections PEER-2004 2.0 and PEER-2004 3.0) (U.S. DOE 2004). In the CRA-2004, the DOE consolidated computer code documentation of mathematical models and initial and boundary conditions, primarily in the Appendix PA-2004, Section PA-4.0 (U.S. DOE 2004). The DOE also discussed specific topics in Appendix PA-2004, and Attachments PORSURF-2004, MASS-2004, SOTERM-2004, and TFIELD-2004 (U.S. DOE 2004). The DOE documented each code's characteristics in the UM and the other documents listed in Section 23.4.3.1. The mathematical models or initial or boundary conditions for the following codes did not change after the CCA: SANTOS, BRAGFLO, FMT, NUTS, PANEL, and SECOTP2D. The cuttings and cavings mathematical models in CUTTINGS_S were not changed, but the spallings mathematical models were replaced by the new DRSPALL code. Three new codes were included in the EPA's review for the CRA-2004: MODFLOW, PEST, and DRSPALL. See U.S. EPA (2006i and 2006j) for more information on the code review conducted for the CRA-2004. Information used to evaluate the stability of the numerical schemes was provided in the VDs and APs that the DOE prepared for each of the CRA-2004 PA computer codes. The DOE's evaluation of numerical schemes to ensure the stability of the numerical solutions included an evaluation of the impact on previous analyses and any appropriate corrective actions to either the computer code or the earlier analyses. Errors that qualified as conditions adverse to quality, such as computer code stability problems, were controlled and resolved as described in the CRA-2004 Chapter 5.0, Section 5.3.20 (U.S. DOE 2004). The DOE maintains a record of whether any of the codes experienced stability problems during the PA calculations. This record is documented in the output for each code and notes the convergence criteria and the number of numerical iterations required to reach convergence. Convergence criteria, and the maximum number of iterations allowed to achieve convergence, are set within various subroutines in the computer codes, where appropriate. The codes generate messages if the mathematical solution algorithm does not converge within the user-specified criteria (see the UM for each computer code). Problems are documented in the AP for each code. As in the CCA, to ensure that the DOE computer codes accurately implement the numerical models and are free of coding errors, a number of QAPs were adopted (see the CRA-2004, Chapter 5.0) (U.S. DOE 2004). The QAPs specify quality assurance (QA) requirements for each step of the software development process (see CARD 22 (U.S. EPA 2006k) for a discussion of the EPA's review of the DOE QA program). This process involved four primary development phases: (1) requirements, (2) design, (3) implementation, and (4) verification and validation (CRA-2004, Chapter 5.0, Section 5.3.20, and Appendix QAPD-2004, Section 6.0 ) (U.S. DOE 2004). The objective of each phase is discussed below. The requirements phase consists of defining and documenting both the functional requirements that the software must meet and the verification and validation activities that must be performed to demonstrate that the computational requirements for the software are met. Two documents are produced during this phase: the RD and the VVP, which, when combined, are called RD/VVP. The RD contains the functional requirements that the proposed software must satisfy, with specific requirements relating to the aspects of the system to be simulated with a particular computer code. For example, groundwater flow through the Culebra Dolomite Member of the Rustler (hereafter referred to as Culebra) is assumed to be steady through time. Therefore, MODFLOW was required to demonstrate that the flow equation provided accurate solutions over time under steady-state conditions. The VVP identifies tests and associated acceptance criteria to ensure verification of each software development phase (i.e., that the portion of the code being tested matches known solutions) and validation of the entire software baseline the first time the computer code is placed under QA control (i.e., that all aspects of the code work together properly). The RD documents what the PA computer codes do by listing the functional requirements of each code. The VVP explains the various tests needed to show that the computer code properly performed the functional requirements listed in the RD. The design phase consists of developing and documenting the overall structure of the software and the reduction of the overall software structure into descriptions of how the code works. During this phase, the software structural design may necessitate modifying the RD and VVP. The DD describes the theoretical model, the mathematical model, and the major components of the software. The implementation phase consists of developing source code using a programming language (e.g., FORTRAN) or other form suitable for compilation or translation into executable computer software. The design, as described in the DD, is used as the basis for the software development, and it may need to be modified to reflect changes identified in the implementation phase. Two documents are produced during this phase: the ID and the UM. The ID provides the source code listing and describes the process performed to generate executable software, and the UM provides information that assists the user in understanding and using the code. The verification and validation phase consists of executing the functional test cases identified in the VVP to demonstrate that the developed software meets the requirements defined for it in the VVP. The tests demonstrate the capability of the software to produce valid results for problems encompassing the range of permitted usage as defined by the UM. One document, the VD, is produced during this phase. The VD documents the test case input and output files and evaluates the results against the acceptance criteria in the VVP. In the CCA, the DOE used these procedures and documents to show that the PA computer codes calculated numerical models properly, were free of coding errors, and produced stable results. The DOE used the same process and requirements for the CRA-2004 PA computer codes. The DOE performed two peer reviews to support the CRA-2004 PA calculations. These peer reviews evaluated the new spallings model and the minor changes made to the Disposal System Geometry, Repository Fluid Flow, and DRZ conceptual models. The Spallings Conceptual Model Peer Review Report was performed from July 2003 to October 2003; the final report was published in October 2003 (Appendix PEER-2004, Section PEER-2004-3.1.2 ) (U.S. DOE 2004). The new spallings model includes three major elements: consideration of multiphase flow processes in the intrusion borehole, consideration of fluidization and transport of waste particulates from the intact waste mass to the borehole, and a numerical solution for the coupled mechanical and hydrological response of the waste as a porous medium. The DOE developed a new numerical code, DRSPALL, to implement the new spallings conceptual model that calculates the volume of WIPP solid waste that may undergo material failure and be transported to the surface as a result of a drilling intrusion. The Salado Flow Conceptual Models Peer Review was performed from April 2002 to March 2003; the final report was published in May 2003 (Appendix PEER-2004, Section PEER-2004-2.1.3 ) (U.S. DOE 2004). This peer review evaluated changes made to three conceptual models (Disposal System Geometry, Repository Fluid Flow, and DRZ) as a result of (1) new information acquired after the original certification decision; or (2) changes to conceptual model assumptions mandated by the EPA in the final CCA decision, such as the Option D panel closure condition. The changes included: (1) modification of the computational grid to accommodate the new panel closure requirement, (2) shaft simplification, and (3) refinement to the BRAGFLO grid. The results of these peer reviews are discussed in Section 23.4.4.5. As in the CCA, all conceptual models used in the CRA-2004 were approved by conceptual model peer reviews that considered whether or not conceptual models represented possible futures of the disposal system (see Section 23.2.4 for more discussion of the results of the CCA conceptual model peer review). The EPA agreed with the peer review panels and therefore found that the DOE continued to be in compliance with section 194.23(a)(3)(i) (CARD 23, Section Recertification Decision 194.23(a)(3)) (U.S. EPA 2006f). In the evaluation for recertification, the EPA evaluated each of the mathematical models for the computer codes used in the CRA-2004 PA to determine if the governing equations (e.g., flow and transport governing equations), process-related equations (e.g., the anhydrite fracture model), and boundary conditions (e.g., no-flow boundary assumptions) included in each mathematical model provided a reasonable representation of each conceptual model used in the CRA-2004 PA. Appendix PA-2004, Section PA-4.0 (U.S. DOE 2004) and UMs and APs for each code were the primary sources of information on the mathematical models employed in PA. In general, mathematical formulations were adequately explained and reasonable. The DOE adequately documented and described simplifications of conceptual models in the CRA-2004 PA. The EPA found that the DOE provided an adequate technical basis to support the mathematical formulations (CARD 23, Section Recertification Decision 194.23(a)(3)) (U.S. EPA 2006f). The EPA also reevaluated the functional tests described in the VD for each computer code to ensure that the DOE's tests of the computer codes demonstrated that they performed as specified in the RD. The EPA reviewed the testing of each code to verify that the DOE adequately tested functional requirements listed for each computer code. This analysis and testing indicated that equations and boundary conditions were properly incorporated into the mathematical models and those boundary conditions were reasonable representations of how the conceptual models should be implemented. The EPA found that the DOE continued to comply with section 194.23(a)(3)(ii) (U.S. EPA 2006c), Section 12.0, (U.S. EPA 2006j), Section 6.0, and (U.S. EPA 2006i), Section 6.0) and CARD 23, Section Recertification Decision 194.23(a)(3) (U.S. EPA 2006f). For the CRA-2004, the EPA reviewed all relevant documentation on numerical models solution schemes, which was primarily contained in the Appendix PA-2004 (U.S. DOE 2004), APs, and supplementary information (e.g., UMs, VDs). The EPA also reviewed each code's QA documentation package for completeness and technical adequacy. For the CRA-2004, the EPA reviewed the testing used to qualify each code for use in the CRA-2004 PA. The EPA found that the DOE had adequately set the range of functional tests for each code to verify that the code would perform as expected and provide reasonable results (see each code's VD for details of this testing). The EPA found that the DOE continued to comply with the requirements of section 194.23(a)(3)(iii) (U.S. EPA 2006c), Section 12.0, (U.S. EPA 2006j), Section 6.0 and (U.S. EPA2006i), Section 6.0) and CARD 23, Section Recertification Decision 194.23(a)(3) (U.S. EPA 2006f). The EPA reviewed all of the relevant documentation (UM, DD, RD, VVP, and VD) pertaining to each of the major codes described above, as well as Appendix PA-2004 and associated attachments (U.S. DOE 2004). Since the CCA, the EPA also periodically performed an independent review of the DOE's testing of each code to verify that results appeared accurate and free of coding error (U.S. EPA 2006c;U.S. EPA 2006i;U.S. EPA 2006j). The EPA ultimately found that each PA computer code produced results that showed continued compliance with this requirement. During its review, the EPA questioned whether SANTOS produced results that were an accurate implementation of the numerical models and were free of coding errors (Cotsworth 2004). Specifically, the EPA questioned whether SANTOS was properly tested for accuracy and whether the average stress of less than 5 megapascals that SANTOS predicted for waste was reasonable. In the DOE's response (Detwiler 2004a), the DOE showed that a full functionality test of SANTOS was performed as part of the code qualification and that the results of SANTOS calculations were compared to the results of another computer code called SPECTROM-32. These activities showed that SANTOS produced results that were adequate for the development of porosity surfaces used in the CRA-2004 PA and was therefore accepted by the EPA ((U.S. EPA 2006l), Section 6.0). The DOE replaced the SECOFL2D flow code used in the CCA with the MODFLOW flow code. The primary reasons given for the change are (1) that MODFLOW is well supported by a large user base and is continuing to be developed, while SECOFL2D is not; (2) MODFLOW is designed to operate on multiple computer platforms, while SECOFL2D was designed to work on only the VAX/Alpha platforms; and (3) the new pilot point estimation code, PEST, was designed to use only MODFLOW (Detwiler 2004b). The EPA determined that MODFLOW is a reasonable replacement to SECOFL2D and that the MODFLOW/PEST T-field estimate combination is a significant improvement over the SECOFL2D/GRASP-INV combination used in the CCA (U.S. EPA 2006c). The EPA was able to determine that the CRA-2004 PA computer codes continued to comply with section 194.23(a)(3)(iv) (CARD 23, Section Recertification Decision 194.23(a)(3)) (U.S. EPA 2006f). The DOE performed two peer reviews to support the CRA-2004 PA calculations. The DOE developed a new spallings model and made minor changes to the Disposal System Geometry, Repository Fluid Flow, and DRZ models. The EPA examined the peer review plan and the final peer review report for the Spallings Conceptual Model Peer Review and found that they adequately fulfilled the requirements of section 194.27 and U.S. NRC (U.S. NRC 1988). The EPA also observed the actual performance of the peer review panel, the selection of the panel members, the interaction of the panel with the DOE, and the documents produced during and as a result of the peer review. The EPA found the process satisfied the requirements of section 194.27 and the guidance in U.S. NRC (U.S. NRC 1988) (U.S. EPA 2006d, Section 5.0 ). The EPA examined the peer review plan and the final peer review report for the Salado Flow Conceptual Models Peer Review and found that they adequately fulfilled the requirements of section 194.27 and U.S. NRC (U.S. NRC 1988). The EPA also observed the actual performance of the peer review panel members, the selection of the panel, the interaction of the peer review panel with the DOE, and the documents produced during and as a result of the peer review. The EPA found the process compatible with the requirements of section 194.27 and the guidance in U.S. NRC (U.S. NRC 1988) ((U.S. EPA 2006e), Section 5.0). Based on a review and evaluation of the CRA-2004 and supplemental information provided by the DOE, the EPA determined that the DOE continued to comply with the requirements of section 194.23(a)(3)(v) (CARD 23, Section Recertification Decision 194.23(a)(3)) (U.S. EPA 2006f). All conceptual models used in the CRA-2009 PA were previously peer reviewed. No modifications were made to the conceptual models from the 2006 recertification decision to the CRA-2009. Thus, there was no new information provided in the CRA-2009, and the DOE continued to demonstrate compliance with the provisions of section 194.23(a)(3)(i). No changes were made in the methodology used to document mathematical models and initial and boundary conditions from the CRA-2004. Discussion of the mathematical models and initial and boundary conditions are found in Appendices PA-2009, PORSURF-2009, SOTERM-2009, and TFIELD-2009 (U.S. DOE 2009). UMs and APs are also used to document mathematical models and the initial and boundary conditions for the CRA-2009. Table 23-2 lists the APs for the CRA-2009 PA.
No new codes were added to the WIPP PA since the CRA-2004 PABC. Two codes, BRAGFLO and NUTS, were modified for the CRA-2009 PA. BRAGFLO was modified from version 5.0 to version 6.0 to incorporate additional capabilities and flexibility (Nemer 2006). The UM (Nemer 2007a), RD/VVP (Nemer 2007b), ID (Nemer 2007c), and VD (Nemer 2007d) were generated for BRAGFLO version 6.0. NUTS version 2.05a had a time and date incompatibility with the upgraded operating system (Gilkey 2006), and was modified to version 2.05c. The only difference between version 2.05a and 2.05c is the change made to correct the time and date incompatibility. As this was a minor code change, only the ID (Gilkey 2006) was updated and no changes were made to the UM, RD/VVP, or VD. The DOE continued to provide documentation that mathematical models incorporate equations and boundary conditions that reasonably represent the mathematical formulation of the conceptual models, and thus continued to demonstrate compliance with the provisions of section 194.23(a)(3)(ii). As in the CRA-2004, the information used to evaluate the stability of the numerical schemes was provided in the VDs and APs that the DOE prepared for each of the CRA-2009 PA computer codes. The DOE's approach has not changed since the CRA-2004. Therefore, the DOE continued to provide documentation that numerical models provide numerical schemes that enable the mathematical models to obtain stable solutions and thus continued to demonstrate compliance with the provisions of section 194.23(a)(3)(iii). As in the CRA-2004, the information used to show that the PA computer codes calculated numerical models properly, were free of coding errors, and produced stable results was provided in the RD/VVP and VD prepared for each of the CRA-2009 PA computer codes. Therefore, the DOE continued to provide documentation that computer models accurately implement the numerical models and thus, continued to demonstrate compliance with the provisions of section 194.23(a)(3)(iv). No additional peer review results since the 2006 recertification decision were included in the CRA-2009 PA calculations. Thus, there was no new information to provide in the CRA-2009, and the DOE continued to demonstrate compliance with the provisions of section 194.23(a)(3)(v). Based on a review and evaluation of CRA-2009 and supplemental information provided by the DOE (FDMS Docket ID No. U.S. EPA-HQ-OAR-2009-0330, Air Docket A-98-49), the EPA determined that the DOE continues to demonstrate compliance with the provisions of section 194. 23(a)(3) (CARD 23, Section 23.3.7 ) (U.S. EPA 2010b). The following sections discuss the EPA's evaluation of compliance to each of the four provisions of section 194. 23(a)(3). As in the original CCA and CRA-2004, all conceptual models were approved by conceptual model peer reviews that considered whether conceptual models reasonably represent possible futures of the disposal system. The EPA agreed with the peer review results and determined that the DOE was in compliance with the provisions of section 194.23(a)(3)(i) (CARD 23, Section 23.3.6 ) (U.S. EPA 2010b). The EPA evaluated each of the mathematical models for the computer codes used in the CRA-2009 PA to determine if the governing equations, process-related equations, and boundary conditions included in each mathematical model provided a reasonable representation of each conceptual model (U.S. EPA 2010). After thorough evaluation of the information in Appendix PA-2009 (U.S. DOE 2009) and the BRAGFLO User's Manual (Nemer 2007a), the EPA determined that the mathematical formulations were adequately documented and explained, and were reasonable (U.S. EPA 2010b). Thus, the EPA determined that the DOE continues to adequately document and describe simplifications of conceptual models in the CRA-2009 PA, and continues to provide an adequate technical basis to support the mathematical formulations (U.S. EPA 2010b). The EPA also reevaluated the functional tests for the CRA-2009 PA computer codes, described in the VD for each computer code, to ensure that the codes had not been changed and that the DOE's tests of the computer codes demonstrate that the codes continue to perform as specified in the respective RDs. The EPA reviewed the testing of each code to verify that the DOE adequately tested functional requirements listed for each computer code. This analysis and testing indicated that equations and boundary conditions were properly incorporated into the mathematical models and that boundary conditions were reasonable representations of how the conceptual models should be implemented. The EPA determined that the DOE continued to demonstrate compliance with the provisions of section 194.23(a)(3)(ii) (CARD 23, Section 23.3.6 ) (U.S. EPA 2010b). The EPA reviewed all relevant documentation on numerical model solution schemes, which were primarily contained in Appendix PA-2009 (U.S. DOE 2009), APs, and supplementary information (e.g., UMs, VDs). The EPA also reviewed the QA documentation packages for each code for completeness and technical adequacy (U.S. EPA 2010a). The EPA reviewed the testing used to qualify each code for use in the CRA-2009 PA calculations. The EPA determined that the DOE continues to (1) adequately set the range of functional tests for each code to verify that the code will perform as expected and provide reasonable results, and (2) provide documentation that numerical models provide numerical schemes that enable the mathematical models to obtain stable solutions (U.S. EPA 2010b). The EPA determined that the DOE continued to demonstrate compliance with the provisions of section 194.23(a)(3)(iii) (CARD 23, Section 23.3.6 ) (U.S. EPA 2010b). The EPA reviewed all of the relevant documentation pertaining to each of the major codes used in the CRA-2009 PA calculations (i.e., DD, RD, VVP and VD) and Appendix PA-2009 (U.S. EPA 2010a). The EPA found that each performance assessment code produced results that show that the DOE continues to demonstrate compliance with the provisions of section 194.23(a)(3)(iv) (CARD 23, Section 23.3.6 ) (U.S. EPA 2010b). There was no new peer review process information to provide in the CRA-2009. The EPA determined that the DOE continued to demonstrate compliance with the provisions of section 194.23(a)(3)(v) (CARD 23, Section 23.3.6 ) (U.S. EPA 2010b). After the DOE submitted the CRA-2009 documentation (U.S. DOE 2009), the DOE revised the Culebra Hydrogeology Conceptual Model by changing its implementation, and submitted the results of the CRA-2009 PABC calculations. The process used to calculate Culebra transmissivity fields used in the flow calculations was changed. The original CCA peer review panel had determined that the Culebra Hydrogeology Conceptual Model did not establish a strong correlation between the conceptual model and the numerical model used in PA calculations (SCA 2008). The objective of the new implementation of the conceptual model for the CRA-2009 PABC was to develop transmissivity fields for the Culebra that are: (a) geologically based, (b) consistent with observed groundwater heads, (c) consistent with groundwater responses in the Culebra pumping tests, and (d) consistent with water chemistry data. The changes to the process for deriving the transmissivity fields did not change the underlying flow conceptual model or the mathematical formulations incorporated into the computer codes. The inclusion of more pumping test data, additional pilot points, and geologic effects, represents an implementation change, not a conceptual model change (Kuhlman 2010). The new Culebra Hydrogeology Conceptual Model was peer reviewed and approved for use in PA calculations (Burgess et al. 2008). Thus, the DOE continues to demonstrate compliance with the provisions of section 194.23(a)(3)(i). No changes were made in the methodology used to document mathematical models and initial and boundary conditions from the CRA-2009. The only changes were updates to parameters and the implementation of mathematical models using the new transmissivity field development process (Burgess et al. 2008; Kuhlman 2010 ). Discussion of the mathematical models using the new transmissivity field development process can be found in Appendix TFIELD-2014. Discussion of the other models can be found in Appendices PA-2014, PORSURF-2014, and SOTERM-2014. UMs and APs are also used to document mathematical models and the initial and boundary conditions for the CRA-2014. The DOE continues to demonstrate compliance with the provisions of section 194.23(a)(3)(ii). As in the CRA-2004 and CRA-2009 PA calculations, the information used to evaluate the stability of numerical schemes continues to be provided in the VDs and APs that the DOE prepared for each of the CRA-2014 PA computer codes. The DOE's approach has not changed since the CRA-2004. Thus, the DOE remained in compliance with the provisions of section 194.23(a)(3)(iii). To show that the PA computer codes continued to be free of coding errors, produce stable results, and implement the numerical models correctly, the DOE used the same computer code development process and requirements for the CRA-2014 PA computer codes as was used in the CRA-2004 and CRA-2009 PA calculations, which consisted of four primary development phases: (1) requirements phase; (2) design phase; (3) implementation phase; and (4) software verification and validation. This information is contained in the RD/VVP and VD prepared for each of the codes used in the CRA-2014 PA calculations. On this basis, the DOE continued to demonstrate compliance with the provisions of section 194.23(a)(3)(iv). After the CRA-2009 PA, the DOE completed one peer review to support the CRA-2009 PABC calculations. The DOE developed a new implementation and parameterization of the Culebra Hydrogeology Conceptual Model that was included in the CRA-2009 PABC calculations. The Culebra Hydrogeology Conceptual Model Peer Review was completed in 2008 (Burgess et al. 2008). The peer review panel evaluated changes to the implementation and parameterization of the Culebra Hydrogeology Conceptual Model. The EPA examined the peer review plan and the final peer review report and found the process to adequately fulfill the requirements of section 194.27 and U.S. NRC (U.S. NRC 1988) (U.S. EPA 2010b). The EPA also observed the selection of the panel, the interaction of the panel with the DOE and SNL, the actual performance of the peer review panel members, and the resulting documents. The EPA found the peer review process to fulfill the requirements of section 194.27 and the guidance in U.S. NRC (U.S. NRC 1988) (SCA 2008). Thus, the DOE continued to demonstrate compliance with the provisions of section 194.23(a)(3)(v) (U.S. EPA 2010b). 40 CFR § 194.23(b) requires that computer codes be documented in accordance with an appropriate quality assurance standard. In the CCA, to meet the requirements of section 194.23(b), the DOE provided documentation of compliance with quality assurance requirements of American Society of Mechanical Engineers (ASME) Nuclear Quality Assurance (NQA)-2a-1990 addenda, Part 2.7, to ASME NQA-2-1989 edition. This documentation included plans for QA software, software requirements documentation, software design and implementation documentation, software verification and validation documentation, and user documentation. Based on EPA audits and the CCA review, the EPA found the DOE in compliance with the requirements of section 194.23(b). A complete description of the EPA's 1998 Certification Decision for section 194.23(b) can be found in CARD 23, Section 8.4 (U.S. EPA 1998a). The DOE QA program is described in U.S. DOE (2004), Chapter 5.0. Software QA is described in U.S. DOE (2004), Chapter 5.0, Section 5.3.20. 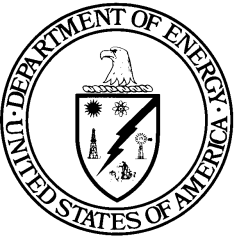 The DOE Carlsbad Field Office (CBFO) Quality Assurance Program Document (QAPD), dated May 2003, is contained in Appendix QAPD-2004 (U.S. DOE 2004). Section 6 of the QAPD incorporated the requirements of ASME NQA-2a-1990 addenda, Part 2.7, to ASME NQA-2-1989 edition. See CARD 22 for further discussion of the EPA's review of the DOE's approach to the QA requirements for computer codes and models (U.S. EPA 2006k). The EPA verified compliance with the requirements of section 194.22(a)(2)(iv) by reviewing Section 6.0 of the CBFO QAPD and conducting periodic inspections of the SNL and Washington TRU Solutions QA programs since the CCA decision. The DOE documentation included plan(s) for software QA, software requirements documentation, software design and implementation documentation, software verification and validation documentation, and user documentation. The EPA found that the DOE's QA requirements for computer codes used in the PA and compliance assessment continued to be in agreement with those specified in section 194.22, and that their code documentation was adequate. See CARD 22, Section Evaluation of Compliance for Recertification (U.S. EPA 2006k), for further discussion of the EPA's review. Based on a review and evaluation of the CRA-2004 and supplemental information provided by the DOE, the EPA determined that the DOE continued to comply with the requirements for section 194.23(b) (CARD 23, Section Recertification Decision 194.23(b)) (U.S. EPA 2006f). The DOE QA program and documentation standards for the computer codes used in PA calculations did not change between the CRA-2004 and CRA-2009 decisions. Thus, no new information on the DOE's QA program was included in the CRA-2009. The DOE QA program, as applied to the CRA-2009, was contained in Appendix QAPD-2009 (U.S. DOE 2009). The DOE continued to demonstrate compliance with the provisions of section 194.23(b). The EPA verified that the DOE continued to comply with the requirements of section 194.22(a)(2)(iv) by reviewing Section 7.0 of the CBFO QAPD and conducting periodic inspections of SNL and the Management and Operating Contractor QA programs since the CRA-2004 CCA decision. The DOE's documentation included plan(s) for software quality assurance, software requirements documentation, software design and implementation documentation, software verification and validation documentation, and user manual documentation. The EPA determined that the DOE QA requirements for computer codes used in the CRA-2009 PA and CRA-2009 PABC calculations and compliance assessment continued to be in agreement with those specified in section 194.22, and that DOE code documentation is adequate (U.S. EPA 2010b). Thus, the EPA determined that the DOE continued to demonstrate compliance with the provisions of section 194.23(b) (CARD 23, Section 23.4.8 ) (U.S. EPA 2010b). The documentation standards of the computer codes have not changed since the CRA-2004 and CRA-2009 decisions. Thus, there is no new information on the DOE QA program to provide in the CRA-2014. The DOE's quality assurance program, as applied to the CRA-2014, is contained in Appendix QAPD-2014. The DOE continues to demonstrate compliance with the provisions of section 194.23(b). 40 CFR § 194.23(c)(1) requires documentation of all models and computer codes, including descriptions of the theoretical backgrounds and the method of analysis for each model. In the CCA, the DOE provided documentation of all models and computer codes, including descriptions of the theoretical backgrounds and the method of analysis for each model. The EPA's evaluation found that the CCA and supplementary information provided an adequate description of the theoretical backgrounds and method of analysis for each model used in the calculations. The DOE's documentation of conceptual models, alternative conceptual models, and the Conceptual Models Peer Review Panel is discussed in CARD 23, Sections 1.4 , 2.4, and 7.4, respectively (U.S. EPA 1998a). A complete description of the EPA's 1998 Certification Decision for section 194.23(c)(1) can be obtained from CARD 23, Section 9.4 (U.S. EPA 1998a). Most of the major codes used for modeling the PA in the CRA-2004 had not changed since the CCA. Codes added to the CRA-2004 PA since the CCA were MODFLOW, PEST, and DRSPALL. Each of the CRA-2004 PA codes is documented in its own UM, AP, RD, VVP, DD, ID, and VD (see Section 23.4.3.1 for a summary of each document). The DOE used these documents as the primary vehicles to describe the conceptual models, mathematical models, and numerical methods that provided the basis for the theory and the assumptions underlying the computer codes. The DOE included additional documentation in various appendices to the CRA-2004 (e.g., Appendix PA-2004, Attachment MASS-2004, and Attachment SOTERM-2004). The DOE's documentation also contained justification for the use of the models, conceptual model derivation, mathematical derivations, and solution methods used in the codes (see the CRA-2004 Chapter 6.0 and Appendix PA-2004) (U.S. DOE 2004). The primary codes that the EPA reviewed include: CUTTINGS_S, MODFLOW, SECOTP2D, SUMMARIZE, PRECCDFGF, CCDFGF, LHS, DRSPALL, PANEL, BRAGFLO, NUTS, FMT, PEST, SANTOS, and ALGEBRA. The EPA found the DOE's description of the theoretical background of each code, provided primarily in the UM and AP, to be adequate. With respect to the documentation pertaining to the method of analysis, the EPA found the descriptions in the AP for each code to be sufficiently complete. For the CRA-2004, the EPA reevaluated all available documentation on each of the computer codes for completeness, clarity, and logical development of the theoretical bases for the conceptual models used in each computer code. Documentation was considered complete if it contained sufficient information from which to judge whether the codes were (1) formulated on a sound theoretical foundation, and (2) used properly in the PA analysis. The EPA reviewed all of the relevant documentation pertaining to the theoretical development and application of the models. For further discussion of the EPA's review of documentation for conceptual models, alternative conceptual models, and the peer review panels, see Section 23.2, Section 23.3, and Section 23.4. The majority of the information was located in the UM and AP for each code. For the CRA-2004, the DOE's theoretical background for almost all of the codes had not changed since the CCA decision. Since the CCA, the DOE continued to test the PA codes to verify that they still perform as they did during the CCA. The EPA periodically reviewed and inspected these activities to verify that the PA codes continued to produce adequate results (U.S. EPA 2006i;U.S. EPA 2006j). Appendix PA-2004 (U.S. DOE 2004) included the theoretical background, mathematical development, and numerical development of the main PA codes andtheir use in the CRA-2004 PA analyses. After the execution of the original CRA-2004 PA, the DOE discovered problems with the method of analysis for a number of input files and computer code errors related to the SUMMARIZE, PRECCDFGF, and CCDFGF sequence of calculations. The EPA requested that the DOE verify these errors had been corrected and that the codes passed the correct information to assure the analysis methods and assessments achieved correct results (Cotsworth 2005). The DOE modified the codes, corrected the analysis process, and retested to confirm that the errors had been corrected. The DOE also reran parts of the original CRA-2004 PA to assess the impact of these corrections. The EPA found that the DOE had corrected the errors and verified that the codes obtained the correct data to perform the CRA-2004 PABC (U.S. EPA 2006c, Section 12.0 ). The EPA found that the DOE's level of documentation continued to be consistent with the adequate level of documentation produced during the CCA review, and that the DOE continued to be in compliance with section 194.23(c)(1) (CARD 23, Section Recertification Decision 194.23(c)) (U.S. EPA 2006f). No changes were made to the documentation procedure of PA computer codes used in the CRA-2009. The information reviewed by the EPA for the CRA-2009 was primarily contained in UMs, VDs, IDs, and RD/VVPs for each code. The primary codes that EPA reviewed for the CRA-2009 included: CUTTINGS_S, MODFLOW, SECOTP2D, SUMMARIZE, PRECCDFGF, CCDFGF, LHS, DRSPALL, PANEL, BRAGFLO, BRAGFLO as used for direct brine releases (BRAGFLO_DBR), NUTS, FMT, PEST, SANTOS, ORIGEN2, and ALGEBRA (U.S. EPA 2010). The major codes used in the CRA-2009 PA calculations had not changed since the CRA-2004 PA (Appendix PA-2009, Section PA-6.0 ) (U.S. EPA 2009). The DOE included additional documentation in various appendices to the CRA-2009 (e.g., Appendix PA-2009, Appendix MASS-2009, and Appendix SOTERM-2009). The DOE's documentation also contained justification for the use of the models, the conceptual model derivation, the mathematical derivations, and the solution methods used in the codes (Appendix PA-2009). Given that there was no new information provided as part of the CRA-2009, the DOE continued to demonstrate compliance with the provisions of section 194.23(c)(1). In its CRA-2009 review, after reviewing the CRA-2009 PABC, the EPA found the DOE's description of the theoretical background of each code to be adequately documented in each of the UMs and the various APs (U.S. EPA 2010b). With respect to the documentation pertaining to the method of analysis, the EPA found the descriptions in the APs (U.S. DOE (2009), Table 23-4) for each code to be sufficiently complete (CARD 23, Section 23.5.8.1 ) (U.S. EPA 2010b). The EPA reevaluated all the documentation for each of the computer codes for completeness, clarity, and logical development of the theoretical bases of the conceptual models used in each computer code. The documentation was determined to continue to be complete if it contained sufficient information from which to judge whether the codes continued to be both formulated on a sound theoretical foundation and used properly in the CRA-2009 PA analyses (U.S. EPA 2010b). The EPA reviewed all of the relevant CRA-2009 documentation pertaining to the theoretical development and application of the models. The majority of the information was located in the UMs and APs for each code. For the CRA-2009 PA calculations, the DOE's theoretical background for the codes did not change from that used in CRA-2004. It was determined that the DOE continued to test the PA codes to verify that the codes continued to perform as they did previously (U.S. EPA 2010b). The EPA determined that the DOE's level of documentation continued to be adequate and consistent with the level of documentation produced previously (CARD 23, Section 23.5.8.1 ) (U.S. EPA 2010b) . Thus, the DOE continued to demonstrate compliance with the provisions of section 194.23(c)(1). No changes were made to the documentation procedure of PA computer codes used in the CRA-2014. Thus, there is no new information provided as part of the CRA-2014. Information regarding whether the computer codes continue to satisfy the requirements of section 194.23(c)(1) is contained in Appendix PA-2014, Section PA-6.0. The information for the CRA-2014 continues to be primarily contained in UMs, VDs, IDs, and RD/VVPs for each code. The primary codes used in the CRA-2014 included: CUTTINGS_S, MODFLOW, SECOTP2D, SUMMARIZE, PRECCDFGF, CCDFGF, LHS, DRSPALL, PANEL, BRAGFLO, BRAGFLO_DBR, NUTS, EQ3/6, PEST, SANTOS, JAS3D, and ALGEBRA. The DOE has included supplemental documentation in various appendices to the CRA-2014 (e.g., Appendix PA-2014, Appendix MASS-2014, and Appendix SOTERM-2014). The DOE's documentation also contains justification for the use of the models, the conceptual model derivation, the mathematical derivations, and the solution methods used in the codes (Appendix PA-2009). Thus, the DOE continues to demonstrate compliance with the provisions of section 194.23(c)(1). 40 CFR § 194.23(c)(2) requires (1) general descriptions of the models; (2) discussions on the limits of applicability of each model; (3) detailed instructions for executing the computer codes, including hardware and software requirements; (4) input and output formats with explanations of each input and output variable and parameter (e.g., parameter name and units); (5) listings of input and output files from a sample computer run; and (6) reports on code verification, benchmarking, validation, and QAPs. In the CCA, the DOE provided documentation of all models and computer codes; detailed descriptions of data collection, data reduction and analysis, and parameters developed from source data; detailed descriptions of the structure of the computer codes; and a complete listing of computer source codes. The EPA's evaluation found that the CCA and supplementary information included (1) an adequate description of each model used in the calculations; (2) a description of limits of applicability of each model; (3) detailed instructions for executing the computer codes; (4) hardware and software requirements to run these codes; (5) input and output formats with explanations of each input and output variable and parameter; (6) listings of input and output files from sample computer runs; and (7) reports of code verification, benchmarking, validation, and QAPs. A complete description of the EPA's 1998 Certification Decision for section 194.23(c)(2) can be obtained from CARD 23, Section 10.4 (U.S. EPA 1998a). As in the CCA, documentation for the CRA-2004 regarding the DOE's compliance with section 194.23(c)(2) is primarily contained in the UM, AP, VD, ID, DD, RD, and VVP for each code. Table 23-3 lists the requirements of section 194.23(c)(2) and where these requirements are addressed in the DOE documents. X = Information meeting the requirement is found in this document. a See Appendix QAPD-2004, Section 6.0 (U.S. DOE 2004). The EPA reviewed all of the relevant documentation pertaining to requirements specified in section 194.23(c)(2) for the following codes: CUTTINGS_S, MODFLOW, SECOTP2D, CCDFGF, LHS, PANEL, BRAGFLO, NUTS, FMT, PEST, DRSPALL, SANTOS, and ALGEBRA (U.S. EPA 2006c;(U.S. EPA 2006i;U.S. EPA 2006j). The DOE's code documentation provided enough information for the EPA to understand and execute the models, determine the possible impact of any assumptions, and verify that the codes were tested and quality assured. The EPA determined that the DOE continued to demonstrate compliance with section 194.23(c)(2) (CARD 23, Section Evaluation of Compliance for Recertification 194.23(c)) (U.S. EPA 2006f). No changes were made to the documentation procedure of PA computer codes between the CRA-2004 and the CRA-2009. Hence, the requirements listed in Table 23-3 also applied to the computer codes used in the CRA-2009. The documentation for the CRA-2009 regarding DOE's compliance with section 194.23(c)(2) was primarily contained in UM, AP, VD, ID, and RD/VVP for each code. The codes used in the CRA-2009 include CUTTINGS_S, MODFLOW, SECOTP2D, SUMMARIZE, PRECCDFGF, CCDFGF, LHS, PANEL, NUTS, BRAGFLO, BRAGFLO_DBR, PEST, FMT, DRSPALL, SANTOS, ORIGEN2, and ALGEBRA. Given that there was no new information provided in the CRA-2009, the DOE continued to demonstrate compliance with the provisions of section 194.23(c)(2). The EPA reviewed all of the relevant documentation pertaining to the requirements specified in section 194.23(c)(2) for the following codes: CUTTINGS_S, MODFLOW, SECOTP2D, CCDFGF, LHS, PANEL, BRAGFLO, BRAGFLO_DBR, NUTS, FMT, PEST, DRSPALL, SANTOS, ORIGEN2, and ALGEBRA (U.S. EPA 2010a). The DOE's CRA-2009 code documentation provided sufficient information to allow the EPA to understand and execute the models, to determine the possible impact of any assumptions, and to verify that the codes were tested and underwent quality assurance review. The EPA determined that the DOE continued to demonstrate compliance with the provisions of section 194.23(c)(2) (CARD 23, Section 23.5.8.1 ) (U.S. EPA 2010b) . No changes have been made to the documentation procedure of PA computer codes used in the CRA-2014. Hence, the requirements listed in Table 23-3 also apply to the computer codes used in the CRA-2014. The documentation for the CRA-2014 regarding DOE's compliance with section 194.23(c)(2) is contained in UM, AP, VD, ID, and RD/VVP for each code. The codes used in the CRA-2014 include CUTTINGS_S, MODFLOW, SECOTP2D, SUMMARIZE, PRECCDFGF, CCDFGF, LHS, PANEL, BRAGFLO, BRAGFLO_DBR, NUTS, EQ3/6, PEST, DRSPALL, SANTOS, JAS3D, and ALGEBRA. There is no new information for documentation procedures to provide in the CRA-2014. The documentation for the new codes EQ3/6 and JAS3D may be found in their respective UM, AP, VD, ID, and RD/VVP. The DOE continues to demonstrate compliance with the provisions of section 194.23(c)(2). 40 CFR § 194.23(c)(3) requires detailed descriptions of the computer code structures and a complete listing of computer source codes. In the CCA, the DOE provided detailed descriptions of the computer code structure and a complete listing of computer source codes. The EPA's evaluation found that the CCA and supplementary information adequately provided a detailed description of the computer code structures and supplied a complete listing of the computer source code in supplementary documentation to the CCA. The documentation of computer codes described the structure of computer codes with sufficient detail to allow the EPA to understand how software subroutines are interrelated. The code structure documentation shows how the codes operate to provide accurate solutions of the conceptual models. A complete description of the EPA's 1998 Certification Decision for section 194.23(c)(3) is contained in CARD 23, Section 11.4 (U.S. EPA 1998a). The ID for each modeling code contained the information relevant to compliance with section 194.23(c)(3). The ID provided the information necessary for the recreation of the code as used in the CRA-2004 PA calculation. With this information, the user could compile the source code and install it on a computer system identical to that used in the CRA-2004 PA. The ID also included the source code listing and code compilation information. The EPA reviewed all of the relevant documentation, and in particular the ID for each computer code pertaining to the requirements specified in section 194.23(c)(3) for the following codes: CUTTINGS_S, MODFLOW, SECOTP2D, CCDFGF, LHS, PANEL, BRAGFLO, NUTS, FMT, PEST, SANTOS, DRSPALL, SUMMARIZE, and ALGEBRA. The EPA found that the DOE submitted all of the source code listings. The EPA identified no problems with the detailed descriptions of the structure of the computer codes. The CRA-2004 documentation of computer codes continued to adequately describe the structure of computer codes with sufficient detail to allow the EPA to understand how software subroutines were linked and how to execute the PA. The EPA determined that the DOE continued to demonstrate compliance with section 194.23(c)(3) (CARD 23, Section Recertification Decision 194.23(c)) (U.S. EPA 2006f). No changes were made to the documentation procedure of PA computer codes used in the CRA-2009. The primary documentation of model compliance with section 194.23(c)(3) was contained in the ID for each modeling code. These code IDs provided the information necessary for compiling the codes used in the CRA-2009 PA calculations, which allowed the user to compile the source code and install it on a computer system identical to that used in the CRA-2009 PA. The IDs included the source-code listings, the subroutine-call hierarchies, and code compilation information. Thus, the DOE continued to demonstrate compliance with the provisions of section 194.23(c)(3). During its CRA-2009 review, the EPA examined all of the relevant documentation, in particular the ID for each computer code pertaining to the requirements specified in section 194.23(c)(3), for the following codes: CUTTINGS_S, MODFLOW, SECOTP2D, CCDFGF, LHS, PANEL, BRAGFLO, BRAGFLO_DBR, NUTS, FMT, PEST, SANTOS, ORIGEN2, DRSPALL, SUMMARIZE, and ALGEBRA. The EPA found that the DOE submitted all of the source code listings. The EPA continued to find the detailed descriptions of the structure of the computer codes to be adequate (U.S. EPA 2010b). The CRA-2009 documentation of computer codes continued to adequately describe the structure of computer codes with sufficient detail to allow the EPA to understand how software subroutines were linked and how to execute the CRA-2009 PAs (U.S. EPA 2010b). The DOE continued to demonstrate compliance with the provisions of section 194.23(c)(3) (CARD 23, Section 23.5.8.3 ) (U.S. EPA 2010b). No changes have been made to the documentation procedure of PA computer codes used in the CRA-2014. As in the CRA-2004 and CRA-2009, the primary documentation of model compliance with section 194.23(c)(3) is contained in the ID for each modeling code. These code IDs provide the information necessary for the compiling of the codes as used in the CRA-2014 PA calculations. This information allows the user to compile the source code and install the code on a computer system identical or similar to that used in the CRA-2009 PA. The IDs include the source-code listings, the subroutine-call hierarchies, and code compilation information. The DOE continues to demonstrate compliance with the provisions of section 194.23(c)(3). 40 CFR § 194.23(c)(4) requires detailed descriptions of data collection, data reduction and analysis, and code input parameters development. In the CCA, the DOE provided detailed descriptions of data collection, data reduction and analysis, and code input parameter development. The EPA's evaluation found that the CCA and supplementary information adequately (1) provided a detailed listing of the code input parameters; (2) listed sampled input parameters; (3) provided a description of parameters and the codes in which they are used; (4) discussed parameters important to releases; (5) described data collection procedures, sources of data, data reduction and analysis; and (6) described code input parameter development, including an explanation of QA activities. A complete description of the EPA's 1998 Certification Decision for section 194.23(c)(4) can be obtained from CARD 23, Section 12.4 (U.S. EPA 1998a). · SNL Form NP 9-2-1 W IPP Parameter Entry Form (PEF): All PA parameters are defined using this form, which contains the numerical values and distributions of parameters used as input to PA codes, identifies the code the parameter is used in, and includes information to trace the development of each parameter. The PEF replaced Form 464 used in the CCA PA.
· Requestor Documents or Forms: Requestor documentation describes parameters that involve considerable data reduction and analysis by the SNL Principal Investigator or other technical personnel. Requestor documentation is the second step of PA parameter development. Data reduction and analysis are usually explained in this step. Requestor documentation replaced the Principal Investigator Records Packages (PIRPs) used during the CCA PA.
· Data Records Packages (DRPs): These documents are typically generated for parameters derived from empirical testing as a result of laboratory or field measurements (for example, actinide solubility experiments or brine inflow rate measurements in the WIPP underground repository). These packages are generally the first step that links the development of a parameter fromthe measured data to the values used in the PA.
· APs: These are supplementary documents that generally describe all parameters used by a particular code in the PA calculations. The main source for parameter documentation is the PEF. The need for further documentation in the other three types of documents depends upon the nature of the parameter, such as whether it is a widely accepted chemical constant (e.g., atomic weight of an isotope) or a value requiring experimental data for verification. Table 23-4 describes the types of information found in each of these four documents and possible paths in documenting parameter record information. The CCA contained approximately 1,600 parameters and the CRA-2004 contained approximately 1,700 parameters consisting of numerical values or ranges of numerical values that describe different physical and chemical aspects of the repository, the geology and geometry of the area surrounding the WIPP, and possible scenarios for human intrusion. Some parameters are well-established chemical constants, such as Avogadro's number or the universal gas constant. Other parameters describe attributes unique to the WIPP, such as the solubility and mobility of specific actinides in brines in the WIPP. An example of a parameter related to the geology of the WIPP is the permeability of the rock in the Culebra above the WIPP. The DOE also assigned parameters to consider the effects of human intrusion, such as the diameter of a drill bit used to drill a borehole that might penetrate the repository. In the documents listed above, the DOE described the methods that develop and support the approximately 1,700 parameters used in the CRA-2004. All of the documents listed are used to explain the full development of parameter values used as inputs to the PA calculations. Table 23-4 indicates the documents that contain information required under section 194.23(c)(4). a See CRA-2004, Chapter 6.0 for parameter descriptions, and CRA-2004, Chapter 5.0 for an explanation of QA activities (U.S. DOE 2004). b Appendix PA-2004, Attachment PAR-2004 (U.S. DOE 2004). c Appendix QAPD-2004 (U.S. DOE 2004). As for the CCA, the EPA performed a thorough review of the parameters and parameter development process for the CRA-2004. For the CRA-2004 parameter review, the EPA focused its review on parameters that had changed or were new since the CCA. The EPA's review of the parameters and parameter development is described in detail (U.S. EPA 2006m;U.S. EPA 2006n). The EPA reviewed parameter packages for a sample of approximately 1,700 parameters used in the CRA-2004 PA calculations. The parameter records include WIPP PEFs (NP 9-2-1), requestor documents or forms, DRPs requestor documents or forms, and APs. The EPA's review of PA parameters took place in three phases. In 2003, the EPA reviewed the transfer of parameters from the CCA database to a new database system (U.S. EPA 2006n). Next, the EPA reviewed the parameters changed as a result of the parameter transfer to the CRA-2004 PA calculations (U.S. EPA 2006n). The EPA found 128 new parameters and 203 changes to existing parameters. Many of the parameter changes were due to revisions of the waste inventory values in the PA calculations and new parameter values used in the new spallings code, DRSPALL. The EPA was able to verify that the new and changed parameters were adequately recorded in the WIPP parameter database and that most of these parameters were justified and traceable to adequate supporting documentation. Finally, the EPA reviewed the parameter changes and documentation for values changed for the CRA-2004 PABC calculations required by the EPA to confirm the impact of code errors and parameter changes on the PA compliance results (U.S. EPA 2006m). The EPA found minor concerns at each phase of the review, including that some CRA-2004 PA parameters were not recorded in the WIPP parameter database as expected. Parameters used in codes executed on other computer platforms, such as MODFLOW, PEST, and SANTOS, were not stored in the WIPP parameter database. EPA recommended placing all parameters used in the PA calculations in the PA parameter database or a centralized WIPP database as a more efficient means of identifying and reviewing parameters, thus facilitating traceability reviews. Ultimately, the DOE corrected each concern, and the EPA verified that parameters used in the CRA-2004 were adequately developed, documented, and traceable. The EPA determined that the DOE continued to comply with section 194.23(c)(4) (CARD 23, Section Recertification Decision 194.23(c)) (U.S. EPA 2006f). During the EPA's completeness review, stakeholders commented on the drilling rate used in the CRA-2004 PA calculations. During meetings with stakeholders in July 2004, comments arose regarding the drilling rate used in the CRA-2004 and it was suggested that a number twice the existing rate should be used in PA calculations. In a December 3, 2004, email, the EPA informed the DOE that it was required to evaluate the impact of doubling the CRA-2004 PA drilling rate. The analysis was conducted and the DOE documented the results (Kanney and Kirchner 2004). The EPA reviewed the DOE's response and noted that while doubling the drilling rate increases predicted releases, the results are still well within regulatory release limits. Ultimately, the EPA was able to determine that the DOE continued to be in compliance with section 194.23(c)(4) (CARD 23, Section Recertification Decision 194.23(c)) (U.S. EPA 2006f). For the CRA-2009, there were 90 new parameters and 15 modified parameters (Fox 2008, Table 6). The 15 modified parameters and 10 of the 90 new parameters were a result of corrections and parameter updates. The remaining 80 new parameters arose from capability improvements added to the BRAGFLO computer code. More discussion of the CRA-2009 parameters is found in Fox (Fox 2008). As in the CRA-2004, the information used to show detailed descriptions of data collection procedures, data reduction and analysis, and code input parameter development was provided in the PEFs that the DOE prepared for each of the CRA-2009 PA parameters (see Fox (Fox 2008)). Therefore, the DOE continues to provide documentation of the parameter development and thus, continues to demonstrate compliance with the provisions of section 194.23(c)(4). The EPA performed a thorough review of the parameters and parameter development process for the CRA-2009 PA calculations, which are documented in CRA-2009, Section 23 , (Fox 2008; Kirchner 2008a), and parameter records in the SNL WIPP Records Center. The parameter records in the SNL WIPP Records Center reviewed by the EPA included WIPP PEFs (NP 9-2-1), DRPs, and APs. The EPA reviewed parameter documentation and record packages for a sample of the approximately 1,700 parameters used in the CRA-2009 PA calculations. The EPA found one minor concern related to the hand-coding of parameters that are not included in the parameter database but are instead input manually. The EPA recommended that these parameters need to be included in the parameter database to improve traceability. The DOE corrected this concern and the EPA verified that parameters used in the CRA-2009 PA calculations were adequately developed, documented, and traceable (U.S. EPA 2010b). The EPA determined that the DOE continued to demonstrate compliance with the provisions of section 194.23(c)(4) (CARD 23, Section 23.5.8.4 ) (U.S. EPA 2010b). For the CRA-2014, there are 20 new parameters and 15 modified parameters for use in the BRAGFLO computer code (Clayton 2013). Of the 15 modified parameters, 5 involved changes to their descriptions, 2 involved changes to their descriptions and values, 2 involved modifications of the parameter values, 3 were standard error adjustment factors for the uncertainties for each brine type used in magnesium oxide hydration modeling, and the remaining 3 were updates to the magnesium oxide hydration rate parameters. The 20 new parameters arose from the introduction of a refined water balance model in the BRAGFLO computer code. A complete discussion of the chemistry parameters for use in Salado flow modeling using the computer code BRAGFLO for the CRA-2014 can be found in Clayton (Clayton 2013), Kicker and Herrick (Kicker and Herrick 2013), and Appendix PA-2014. Additionally, a query of the parameter database indicated that there are 13 BRAGFLO parameters sampled with new distributions for the CRA-2014, primarily due to inventory updates, implementation of the Run-of-Mine Panel Closure System (ROMPCS) and refinement of the water balance. A complete listing of all parameter changes for all the computer codes from CRA-2009 to CRA-2014 can be found in Kicker and Herrick (Kicker and Herrick 2013). As in the CRA-2004 and CRA-2009, the information used to show detailed descriptions of data collection procedures, data reduction and analysis, and code input parameter development is contained in the PEFs that the DOE prepared for each of the CRA-2014 PA parameters (Kicker and Herrick 2013). The DOE continues to provide documentation of the parameter development and thus, continues to demonstrate compliance with the provisions of section 194.23(c)(4). 40 CFR § 194.23(c)(5) requires documentation of any necessary licenses for all models and computer codes. The DOE did not use any software that requires a license, so the EPA found that the DOE demonstrated compliance with section 194.23(c)(5). A complete description of the EPA's 1998 Certification Decision for section 194.23(c)(5) can be obtained from CARD 23, Section 13.1 (U.S. EPA 1998a). As in the CCA, no licenses from software vendors were required to operate the codes essential for the CRA-2004 PA. Most of the computer codes for the CRA-2004 PA were developed and programmed by the DOE or its contractors as custom software, and require no license to execute or use the computer codes documented in the CCA and supplementary materials. MODFLOW and PEST are public domain codes and are readily accessible. As the DOE did not use any software that requires a license, the EPA determined that the DOE continued to comply with section 194.23(c)(5) (CARD 23, Section Recertification Decision 194.23(c)) (U.S. EPA 2006f). No new codes were added for the CRA-2009 PA and no software requiring a license was used. Thus, there was no new information provided in the CRA-2009, and the DOE continued to demonstrate compliance with the provisions of section 194.23(c)(5). The EPA verified that no licenses from software vendors are required to operate the codes essential for the CRA-2009 PA. The EPA also verified that most computer codes for the CRA-2009 PA were developed by and programmed by SNL or its contractors as custom software and required no license. The EPA confirmed that MODFLOW and PEST continue to be public domain codes and are readily accessible (U.S. EPA 2010b). Thus, the EPA determined that the DOE continued to demonstrate compliance with the provisions of section 194.23(c)(5) (CARD 23, Section 23.5.8.5 ) (U.S. EPA 2010b). Two new codes were added for CRA-2014, namely, EQ3/6 and JAS3D. No licenses are required for these codes. Thus, there is no new information to provide in the CRA-2014. The DOE continues to demonstrate compliance with the provisions of section 194.23(c)(5). 40 CFR § 194.23(c)(6) requires an explanation of the manner in which models and computer codes incorporate the effects of parameter correlation. In the CCA, the DOE provided an explanation of the manner in which models and computer codes incorporate the effects of parameter correlation. The EPA's evaluation found that the CCA and supplementary information adequately discussed how the effects of parameter correlation are incorporated, explained the mathematical functions that describe these relationships, and described the potential impacts on the sampling of uncertain parameters. The CCA also adequately documented the effects of parameter correlation for both conceptual models and the formulation of computer codes, and appropriately incorporated these correlations in the PA.
A complete description of the EPA's 1998 Certification Decision for section 194.23(c)(6) is contained in CARD 23, Section 14.4 (U.S. EPA 1998a). User-specified parameter correlations for sampled parameters were introduced into the CRA-2004 PA calculations using the Latin Hypercube Sampling (LHS) computer program. The DOE used two types of parameter correlations: user-specified and induced. User-specified (explicit) parameter correlations are input to the LHS computer code using a correlation matrix (see Kirchner (Kirchner 2005) for the complete list of parameters sampled in this manner). When values sampled using the LHS computer code are used to calculate other values in the PA calculations, an induced correlation parameter relationship is created. This is the prevalent method of parameter correlation in the CRA-2004 PA. CRA-2004 parameter correlations are described in Appendix PA-2004, Attachment PAR-2004, Section 4.0 (U.S. DOE 2004). The EPA determined that parameter correlations were adequately explained in the Appendix PA-2004, Attachment PAR-2004, Section PAR-4.0 , and were adequately incorporated. The EPA also found that the CRA-2004 presented an adequate explanation of the manner in which models and computer codes incorporated the effects of parameter correlations. The EPA determined that the DOE continued to comply with section 194.23(c)(6) (CARD 23, Section Recertification Decision 194.23(c)) (U.S. EPA 2006f). The description of the parameter correlations used in the CRA-2009 PA can be found in Fox (Fox 2008), Section 4.0. No changes were made in the parameter correlations since the CRA-2004 PABC, except that the conditional relationship between the inundated and humid microbial cellulose degradation rates was modified from the CRA-2004 PABC methodology. For the CRA-2004 PABC, the conditional relationship was enforced in the preprocessing step for the BRAGFLO calculations by setting the humid rate equal to the inundated rate if the sampled humid rate was higher than the inundated rate for a single vector. Changing these values this way introduced a small error into the sensitivity analysis because the regression analysis was based on the sampled value rather than the conditional values. For the CRA-2009 PA, a conditional relationship was applied so that the sampled inundated rate is used as the maximum in the sampling for the humid rate. This conditional relationship results in a correlation of 0.74 between the humid and inundated cellulose degradation rates (Kirchner 2008a). The conditional relationship was applied during the LHS process. The LHSEDIT utility was developed to account for this conditional relationship. The implementation and verification of the LHSEDIT utility is discussed in Kirchner (Kirchner 2008a). The DOE continued to provide an explanation of the manner in which models and computer codes incorporate the effects of parameter correlation and thus demonstrate compliance with the provisions of section 194.23(c)(6). The EPA verified that the CRA-2009 documentation contained a complete discussion of how parameter correlations were incorporated into the PA, as well as an adequate explanation of the mathematical functions used to describe the correlation implementation in the CRA-2009 PA calculations (CRA-2009, Section 23.11.5 and Appendix PA-2009, Table PA-21 (U.S. DOE 2009); Fox (Fox 2008), Section 4.0; Clayton (Clayton 2010), Section 4.0). The EPA analyzed the computational aspects of the LHS computer program and functionality tests that implement the correlation check. No changes were made in the parameter correlations since CRA-2004 PABC, except the modification of the conditional relationship between the inundated and humid microbial cellulose degradation rates. A conditional relationship was applied so that the sampled inundated rate is used as the maximum in the sampling for the humid rate, which improved the correlation (Kirchner 2008a). The EPA determined that parameter correlations are adequately explained in CRA-2009 documents and are adequately incorporated in the CRA-2009 PA calculations (U.S. EPA 2010b). The EPA also found that the CRA-2009 presented an adequate explanation of the manner in which models and computer codes incorporated the effects of parameter correlations (U.S. EPA 2010b). The EPA determined that the DOE continued to demonstrate compliance with the provisions of section 194.23(c)(6) (CARD 23, Section 23.5.8.6 ) (U.S. EPA 2010b). The description of the parameter correlations used in the CRA-2014 PA can be found in Kirchner (2013). No changes were made in the parameter correlations since the CRA-2009 PABC, except for the conditional relationship between ROMPCS parameters for the different post-closure time periods modeled in Salado flow BRAGFLO computations. For the CRA-2014, the conditional relationship is enforced in the BRAGFLO calculations for the porosity values in the initial, secondary, and tertiary post-closure time periods (i.e., T1: 0-100 years, T2: 100-200 years, and T3: 200-10,000 years), and between humid and inundated biodegradation rate for cellulose (Camphouse 2013a); (Camphouse 2013b). Those conditional relationships are enforced by modifying values in the LHS transfer file, thus making the conditioned values available for use in the sensitivity analysis (Kirchner 2013). As in the CRA-2009 PA, for the CRA-2014 PA, the cellulose biodegradation conditional relationship was applied so that the sampled inundated rate is used as the maximum in the sampling for the humid rate. This conditional relationship results in a correlation of 0.74 between the humid and inundated rates (Kirchner 2013). The DOE continues to provide an explanation of the manner in which models and computer codes incorporate the effects of parameter correlation and thus demonstrate compliance with the provisions of section 194.23(c)(6). The DOE must provide the EPA free access to PA models and computer codes. During the review of the CCA, the DOE provided the EPA with ready access to computer hardware required to perform independent computer simulations. Therefore, the EPA found the DOE in compliance with the requirements of 40 CFR § 194.23(d). A complete description of the EPA's 1998 Certification Decision for section 194.23(d) can be obtained from CARD 23, Section 15.4 (U.S. EPA 1998a). No specific changes were made to the CRA-2004 to demonstrate compliance with section 194.23(d). The DOE provided access for the EPA during the CRA-2004 to PA models and computer codes. The EPA expected the DOE to identify points of contact to facilitate the process for the EPA to perform independent simulations, provide ready access to the hardware and software needed to perform simulations related to the CRA-2004 evaluation, and assist EPA personnel in using the DOE computer codes. The DOE provided contacts to assist the EPA in operating the hardware needed to perform the independent computer simulations necessary to verify the simulations related to the CRA-2004. The DOE provided the EPA and authorized personnel with unrestricted access to this computer hardware and software. Based on adequate support and access to PA computer codes, input files, and PA-related documentation, the EPA determined that the DOE continued to comply with the requirements for section 194.23(d) (CARD 23, Section Recertification Decision 194.23(d)) (U.S. EPA 2006f). No specific changes were made to the CRA-2009 to demonstrate compliance with section 194.23(d). Thus, the DOE continued to provide the EPA with unrestricted access to the computer hardware and software and continued to demonstrate compliance with the provisions of section 194.23(d). The DOE continued to identify points of contact to facilitate the process for EPA to perform independent simulations, provide ready access to the hardware and software needed to perform simulations related to evaluation of the CRA-2009, and assist EPA personnel in using DOE computer codes as needed. The DOE provided contacts at SNL and the Los Alamos National Laboratory to assist the EPA and EPA contractor personnel in operating the hardware needed to perform independent computer simulations necessary to verify the simulations related to the CRA-2009. Use of a special configuration management system on the Alpha cluster of VAX computers, and use of the Linux Concurrent Versions System file management systems, which contains all the codes and parameter data needed to run the PA, continued at SNL. These two systems archive all the input files, output files, source code, and executable files of the modeling codes used by the DOE in the PA calculations. The DOE provided the EPA and authorized personnel with unrestricted access to this computer hardware and software. The EPA did not receive any public comments on the DOE's continued compliance with the models and computer code requirements of section 194.23(d). Based on a review and evaluation of the CRA-2009 and supplemental information provided by the DOE (FDMS Docket ID No. U.S. EPA-HQ-OAR-2009-0330, Air Docket A-98-49), and adequate support and access to the CRA-2009 PA computer codes, input files, and PA-related documentation, the EPA determined that the DOE continued to demonstrate compliance with the requirements of section 194.23(d) (CARD 23, Section 23.6.8 ) (U.S. EPA 2010b). No specific changes were made to the CRA-2014 to demonstrate compliance with section 194.23(d). The DOE will continue to provide the EPA with unrestricted access to the computer hardware and software. Thus, the DOE continues to demonstrate compliance with the provisions of section 194.23(d).